The CSU, Chico Archaeological Field School offers students hands-on training in the latest archaeological field techniques. 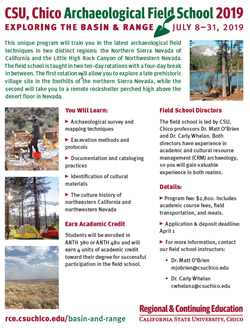 The 2019 field school will take you to two distinct regions: the Northern Sierra Nevada of California and the Little High Rock Canyon of Northwestern Nevada. The course is taught in two ten-day rotations with a four-day break in between. 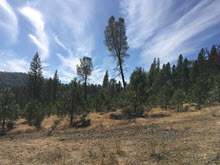 The first rotation will allow you to explore a village site on the shores of Concow Lake in the northern Sierra Nevada. This village was occupied before and after the time of Euro-American contact, and will shed light on the persistence of Native culture during a time of tremendous upheaval. 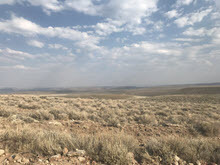 The second rotation takes place in the remote desert of northwest Nevada. 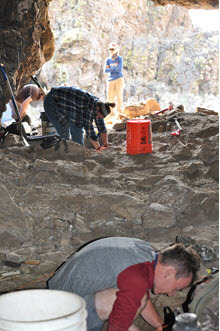 At nearly 6,000 feet above sea level, students will excavate a rockshelter with buried deposits dating back over one thousand years ago. With a natural spring nearby, Wagontire Springs Cave likely served as temporary camp for prehistoric people hunting in the uplands above alkaline lakes in the basin. We seek to understand how people adapted to the desert landscape through changing climatic conditions. 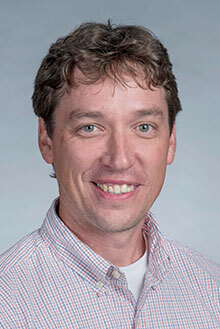 The field school is led by CSU, Chico professors Dr. Matt O’Brien and Dr. Carly Whelan. Both directors have experience in academic and cultural resource management (CRM) archaeology, so you will gain valuable experience in both realms. 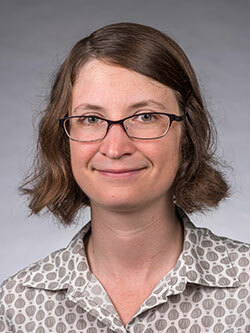 Students will be enrolled in ANTH 380 or ANTH 480 through the CSU, Chico Regional & Continuing Education, and will earn 4 units for successful participation in the field school. $2,800*. Includes academic course fees, field transportation, and meals. • Applications will be accepted until the course fills. * Fee subject to change pending final approval. Download and submit the program application form to the faculty. See the Application page for additional information.